Centre Stage Productions was founded by long-time drama and music educator Helen Zdriluk. Helen Zdriluk passed away unexpectedly on April 26, 2017. Helen was an incredible person and educator who had a far reaching impact on all those who knew her. Her energy and commitment to the students and staff she worked with were the foundation of her time at Burlington Central High School. In her roles as teacher, department head, colleague and friend,Helen touched the lives of so many and truly made a difference. 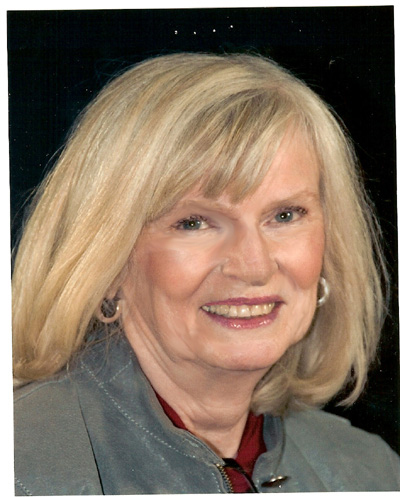 Many were fortunate to have worked with Helen at Centre Stage Theatre School and Burlington Central High School where Helen was Head of the Arts and the director of countless theatre productions. Some of these individuals have as many as 20 years of training; many of them are planning or beginning careers in the Canadian performance or communications industry. All of them have won awards in their own right. In past years, for instance, the creative staff of Centre Stage Productions have won over 50 awards in the prestigious Sears Drama Festival, earning recognition in areas ranging from individual performance, choreography, and set design, to music, technical achievement, and playwriting. They are a skilled, expert group of theatre workers who have themselves developed through the arts, and who seek to give back to their community in the form of quality theatrical entertainment. This year marks the twenty fifth season for Centre Stage, and the result of over 30 years of community productions. During the 1970s, the “Queen Victoria Players”, a community organization based on B.C.H.S. staff, students, and grads, performed in small venues throughout the Burlington Community. The Players later became “The Next Step Theatre”, with a revised constitution and occasional entries into Oakville’s Theatrefest, which garnered a significant number of awards. During the mid-90s, “The Next Step Theatre” partnered with Oakville’s “Mirror Image Players” to produce “Ten Lost Years” and “Handcuffs! – The Donnellys, Part Three”, as award-winning entries in Oakville’s Theatrefest. Meanwhile, in May of 1992, over 100 B.C.H.S. grads returned to perform in “Something Familiar”, B.C.H.S. Central Company’s 20th anniversary grad show which set up a scholarship fund for Central Company performers. In July, 1995, Centre Stage Productions presented “Girls in the Gang”, the Canadian musical about the infamous Boyd Gang of the 1950s. Two years later, in May, 1997 for B.C.H.S.’ 75th Reunion, the grads returned in even greater numbers, for “Something Familiar #2”. This second reunion show celebrated the 75th anniversary of Burlington’s oldest high school and the 25th anniversary of Music Theatre at Burlington Central, ultimately leading to the Centre Stage production of “Working”, and a plan to present summer theatre on an annual basis. Since then, hit productions of shows such as “The World Goes ‘Round,” “Into the Woods,” “City of Angels,” “You Must Remember This,” “Beauty and the Beast” and “Smokey Joe’s Cafe,” have made Centre Stage an important part of the Burlington’s cultural landscape, as well as a reliable source of fun, high quality summer entertainment. Anne & Jean Adenot, Barb Bryant, Mr. and Mrs. J. Falcone, Dr. David Fielding, Mr. and Mrs. H. Hall, Mr. and Mrs. K. Hall, Mr. and Mrs. P. Hoffman, Mrs. S. Mascarin, Mr. and Mrs. J. Marquis, Gerard P. Murphy, Mr. and Mrs. L. Snider, Mr. and Mrs. W. Zdriluk, Central Company, Blind Luck, Sutherland Group, Holy Sepulchre Cemetery, Halton Board – Continuing Education, B.C.H.S. If you are interested in becoming a friend of Centre Stage Productions, please contact the box office.